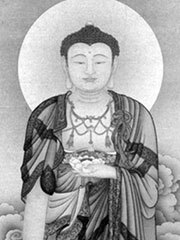 The Svatantrika Madhyamaka school of Buddhism is a form of Madhyamaka in which reasoning is used to establish that phenomena (dharmas) have no self-nature, and further arguments to establish that the true nature of all phenomena is emptiness. This school differs from the predominant prasangika tradition in that the latter refrain from making any assertions whatsoever about the true nature of phenomena. Bhavaviveka was the founder of the Svatantrika tradition.